WASHINGTON—July 17, 2018, will be the critical date for the Stop Tariffs on Printers and Publishers Coalition, as it tries to roll back tariffs imposed upon Canadian newsprint shipments into the U.S.
Tariffs have been in place since January on shipments from Canada, as a result of two complaints brought by the North Pacific Paper Co. of Longview, WA, in August, 2017, alleging that Canadian suppliers receive unfair subsidies and charge prices in the U.S. that are lower than available in Canada. The ITC has already made a preliminary finding that injury to domestic paper products has possibly occurred. These findings led the Department of Commerce to implement a tax on uncoated groundwood paper from Canada, which includes newsprint, of nearly 6.5 percent on many producers in January, up to 22 percent in March. Under trade law, an investigation is required following an initial finding of possible injury. Both the Commerce Department and the ITC play roles in developing evidence for or against the NORPAC allegations. The preliminary tariffs remain in place until a final determination by the agencies, which will be based upon the ITC’s formal investigation. Final action is expected by Sept. 17, 2018. The STOPP coalition, initiated by the News Media Alliance and joined by the National Newspaper Association, comprises community and large newspapers, printers, suppliers and others, to oppose the tariff. The STOPP coalition has stated that rapid decline in demand for newsprint by larger newspapers, which have lost about half their revenue in the past decade, is responsible for the falling newsprint prices that NORPAC attributes to trade practices. It alleges that NORPAC is trying to manipulate trade laws for its own profit and that its action will cause a loss of jobs in newspapers and printing companies that will in turn accelerate a downward spiral in newsprint markets. 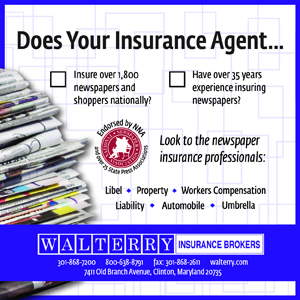 • “Action against uncoated groundwood paper could cause significant harm to the newspaper industry, which is already hurting due to the marketplace’s shift toward digital media alternatives. Despite this change, much of rural America still relies on its local newspapers. 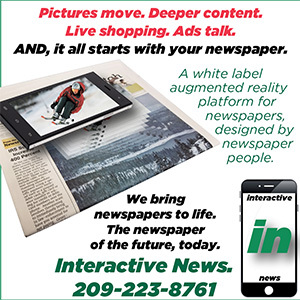 These small-town businesses are already struggling due to a decline in (newsprint) demand by 75 percent since 2000, and a new tariff would be detrimental to their businesses.” Rep. Liz Cheney, R-WY. • “Producers in the newspaper industry in my state have informed me that they would not be able to absorb these (tariff) costs and would be forced to cut production and potentially go out of business,” Sen. Charles Schumer, D-NY. • “Small publishers, like weekly newspapers that serve rural areas, are particularly vulnerable to changes in newsprint price or supply. 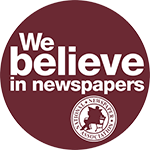 These papers cannot afford to pay higher prices for newsprint, and many will be forced to close their doors and lay off employees if the current temporary tariffs and countervailing duties continue to be imposed.” Sen. Doug Jones, D-AL. NNA President Susan Rowell, publisher of the Lancaster (SC) News, said as she spoke with publishers around the nation, she believed the rising tide of alarm about newsprint prices and potential shortages is unlike any she has experienced.